Why can't a Narrator get the pronounciation right? What did you like best about Hood? What did you like least? 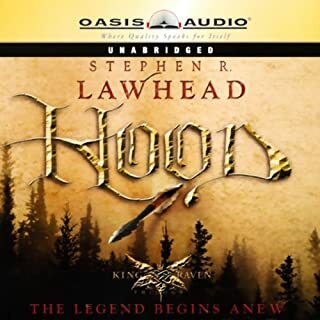 I enjoyed the story, a different take on the traditional history of the Robin Hood mythology. 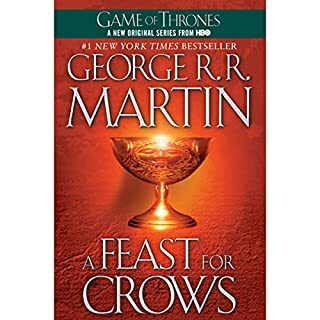 I enjoyed the story line, however it was constantly corrupted by the narrators poor pronunciation of basic English words. I acknowledge the intention of offering Gaelic language, but the affected English the narrator employed used made his narration ridiculous. I cringed every time a mis-pronunciation of basic words or of place names occurred to the point that I almost quit listening. I decided to give the author of the book an honest chance so I continued. However I will not listen to any more of the series by the same narrator. I chose this book because I loved Jacob Zoet and wanted to see what else this author had to offer. Oh Boy! Six individual yet related stories wrapped around each other. 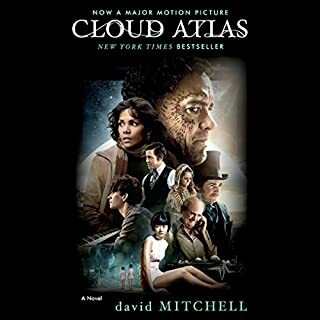 David Mitchell takes you on a journey from the 1850's to the unknown future and back again through six stories each "interrupted" by the other, but each totally dependant upon the completion of their predessor to come to their own fruition. A Dagwood sandwich of individual lives and events. A different narrator for each story allows the listener to segment and reserve the personality of each primary character and thus when the resume comes into play, to recall where we left off before the " interruption". The stories each have a genre and personality of their own that bleeds into the next installment of a fantastic history of perhaps the same soul in many lives. 19th century, early 20th century, late 20th century, futuristic 21st century, pre-apocalyptic and finally post-apocalyptic lives that each reach forward and backwards to themselves. I have to say Timothy Cavendish and his riduculous ordeal was by far my favourite story. I laughed and laughed, and wanted so very much for him to prevail. However the apex or center story of a post apocalyptic future in the islands of Hawaii is a lesson in the cycle of life and of man's ability to return to his most agressive and tyranical instincts to bring about his own destruction. A great read for the historical fiction lover and the sci-fi addict. I happen to be both. Try it - it's more than worth the credit. Where does The Autobiography of Henry VIII rank among all the audiobooks you?? ?ve listened to so far? I read this book many years ago and loved it! I have toyed with buying the audio version but always moved on because I'm not a big fan of David Cases' narration. I finally took the plunge and what a pleasant surprise! After about an hour, Mr. Case IS Henry VIII and you become totally engrossed in his conversational delivery of the life of this complicated man. 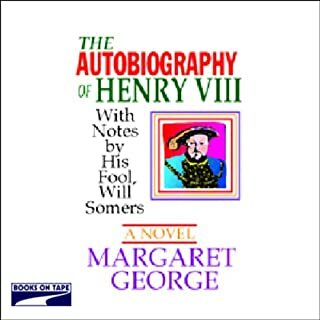 The book is painstakingly researched as are all Margaret Georges books, the story from Henry's subjective point of view is a refreshing take on what has been delivered so very many ways. One finds oneself sympathising with Henry at one moment, and being totally infuriated with him in another. This is due in part to David Case and his totally believable interpretation of Henry's character. The interjections of Will, Henry's friend and fool allow the author to offer points of view the King could not know, it adds humor and at times pathos to the overall story. David Case does a great job of differentiating the two men in voice and inflection. 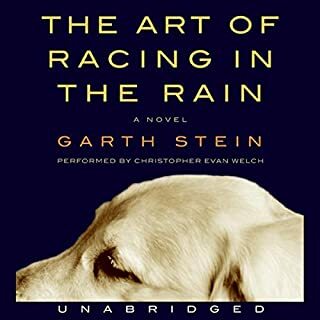 What made the experience of listening to The Art of Racing in the Rain the most enjoyable? The story being told from the point of view of mans best freind. I thought I was going to listen to a dog's story: I did - but so much more! Through the dogs eye view I laughed, cried, hated ... and yes to a point forgave the humans involved in a terrible family battle. We are our own worst enemies and need our dogs to see through our actions to the real intentions below. What does Christopher Evan Welch bring to the story that you wouldn?? ?t experience if you just read the book? Timing and personality. Enzo would have been a different dog if I had only known him in print. Absolute Pleasure - A laugh till you cry! I tried this book because I loved "GraveYard" and knew of Terry Pratchett as cult fantasy hero, the combination of Gaiman and he seemed to be a choice of heaven and/or hell. Who knew it would be both! I sincerely had no idea of the story line, it was a whim purchase - one of the best I have ever made. 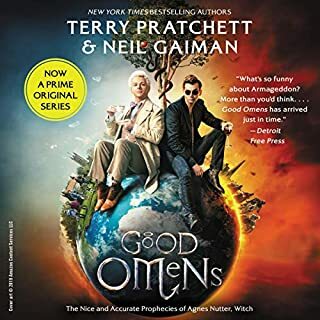 Martin Jarvis is excellent, he gets ALL the characters as individuals, narrates through the story flawlessly moving from voice to voice such that you are conversational and included as the listener. The matter of fact vocal delivery of the satire/humour in the story, makes it all the more plausible. I laughed out loud all too many times. Do you ever notice those drivers alone in a car ? I won't review the story - It's one of those you have to hear for yourself. Suffice it to say .. a Bicycle, a Bentley, a Book, a Harley, a Dog is all the same to those that love them. A Witch, an Angel, his long life freind the Asp, and a child all have agendas that are not what they think. And in the end you will laugh or smile your way into the future!! I truly love all of these books. I have them in print, and enjoy reading along with the audio version. Roy Dotrice has become the "voice" of the story for me. I understand he was not "available" at the time the publishers decided to produce the audio version of this book; they should have waited. Not because John Lee is not an excellent narrator, far from that, I have many books he has done and enjoy them all. The switch was a poor choice because the change is too much, an avid audio listener has become acustomed to Roy's interpretation and characterization, Mr. Lee does not carry that through. Roy Dotrice is I know getting on in years, he may not always be available to voice the characters we have come to enjoy. Mr. Martin is not young either, he may not finish the story for us all. But until one or both decline or leave us the partnership should be maintained. How addicted can I get!!! 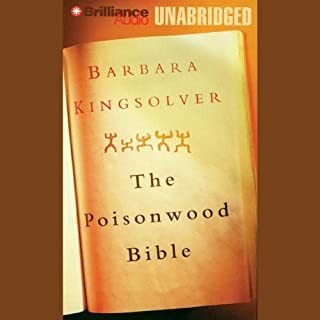 I purchased the 1st book in this series at the begining of my Audible membership: Something I thought I'd enjoy but would "get around to". I burned it to disk, intending to play it in my car on my daily commute. Never Did ! 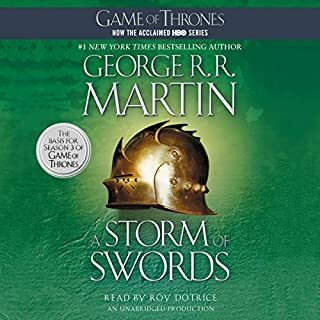 Long story short - by the time I did the rest of the series (thus far) was available on Audible and I realized this was a do or don't proposition for me. I took them all. This is the best I have ever listened to. The story is complicated and captivating. The various family stories, political factions and their interwoven lives, viewed from the readers informed position, make you an accomplice to the intrige and momentum of the story. Roy Dotrice is beyond good - I believe in every voice he creates, and with such a complex cast that is a huge accolade. I travelled to Africa early this year - hours upon hours on a plane. I took my MP3 and my Kindle and read along with the Audible narrations. What a treat. In the course of my trip I read and listened to all four available books. The recent TV series has brought new attention to an established Fantasy series. Trust me the books Audible or In Print are so much greater! There is so much more to the story - and I for one can't wait for the next installment. I have read the book, seen the movie many times, but this was by far the most enjoyable GWTW experience. I heard things I missed or forgot in the read and that were totally not part of the film. 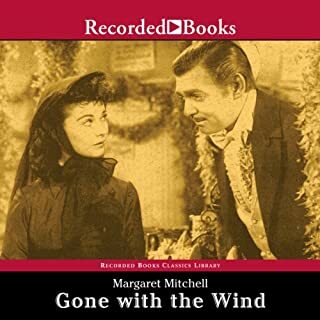 For any fan of Margaret Mitchell's masterpiece - the Audio version is a must do! My sister, who lives in Africa, gave me the book soon after it was published with the instruction that this was a "must read". In spite of several attempts, I never could get too far before I lost the thread of the character changes and gave up. This summer I decided to "listen and read" at the same time, and suddenly the book came alive to me. It took a couple of hours to get Dean's subtle voice changes for the younger girls - but by the end of the book I didn't need the preface of names to know them as individuals. I loved it and was sad to reach the end. The detailed underlying history shocked me, I have been compelled to learn more about Congo and it's still turbulent evolution. The family story, as it details the maturation of supressed little girls into hugely differing independant women, each far greater than their father's expectations, illustrates how one absorbs a comprehension of life from your surroundings and experience that is not necessarily what your teachers intend. My sister was right. Truly a "must read"
I am typically a fiction listener: I listen while I drive and don't want to be too dependent on catching every word. 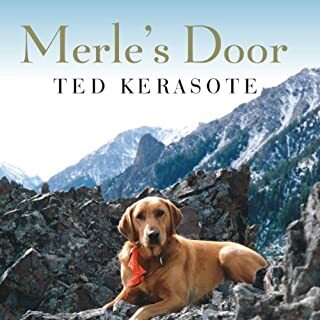 I had read reviews on Merle's Door and as a dog lover and owner became intrigued. I was concerned because the narrator is Patrick Lawler whom I have found to be vocally annoying in the past. I sincerely wish Mr. Lawler would give up on his attempts to do 'accents' they are always bad and distract from otherwise very competent narration. I'm British and I cringe when he tries to give differentiation to characters this way. However in this case his narration was wonderful! I found myself so captivated by his interpretation of Merle, that I overlooked my cringe factors and absorbed not only the principle story, but most of the clinical explanations, history and case study that the author Ted Kerasote wanted his readers to share in order to comprehend his unique relationship with Merle. I laughed, I cried, I marveled. I wish I had known Merle and could have such a relationship with my two dogs. Hah! Hah! Hah! Let's do it again!